The troubling reality in Haiti is that many parents give up their children because either they do not have the means to properly take care of them or because someone else promises that they can give them a better life. Sometimes, though, these children that are sent off to live at "orphanages" end up being exploited and abused. In the summer of 2013, we were led to 15 children trapped in this terrible "orphanage" situation. They walked around without shoes on their feet through the same mud the dogs were allowed to defecate, wearing worn out clothing that did not fit them. Their dormitories reeked of urine and had a leaky roof, and the younger girls shared a sheetless mattress on the ground with a hole in the middle. More often than not, the only food they were given was the snack that we would bring when we came to visit them. They let none of the food go to waste; they licked the wrappers and if a single grain of rice fell off the plate they would pick it up off the table and eat it. They always thanked us for what we brought, never asked for more, and were content simply sitting on our laps being held. It was so evident that they craved love and attention. When it was time for us to leave, the youngest would start crying uncontrollably, not letting you put them down and the older kids would walk away with blank, glazed-over looks on their faces. We were heartbroken to see what these children were enduring and their reality of a life filled with no love, hope, or joy. After several months of earnest prayer, we dedicated ourselves to providing them a new home and most importantly a future. 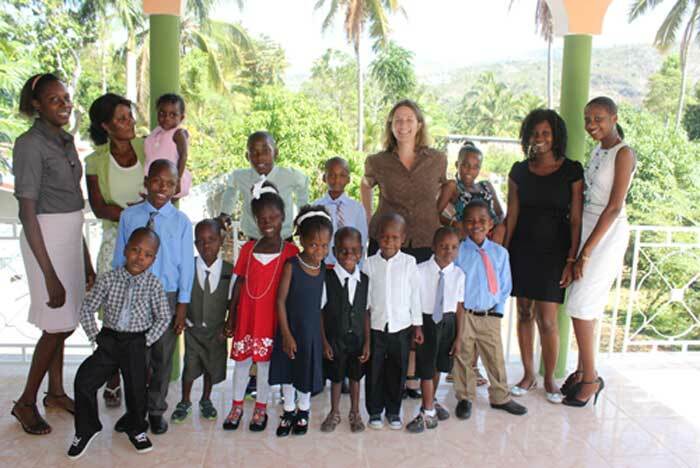 We outfitted a house in Haiti suitable for up to 20 children to live and within a few months of working with the social services system in Haiti the children were removed from the orphanage and brought to our new home. Their new lives and our journey with them began in February 2014. We are committed to providing them with a Christ-centered, nurturing, and safe home, an opportunity to receive an education, and an environment to discover, enjoy, and share their God given gifts and talents.